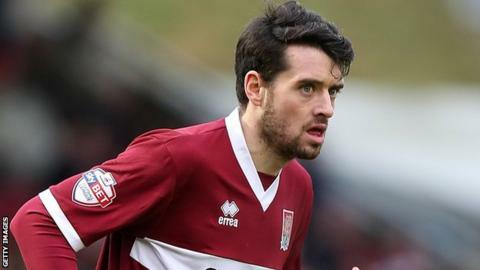 Northampton Town have signed defender Brendan Moloney on a free transfer from Yeovil Town. The 26-year-old had spent the whole of January on loan at the Cobblers, making five appearances. He has agreed a three-and-a-half-year deal with Chris Wilder's side. "It was an easy decision to sign Brendan on a permanent contract. He has been really impressive since coming in and has played his part in the recent good run," said Wilder. "He has an excellent attitude both on and off the field, he has settled in well to the group in the dressing room and we are really pleased Brendan has become a permanent addition."